Here's the second part of my "Evolution of Toothed Whales" series. I wanted to illustrate how odontoceti whales have evolved and changed over the years. 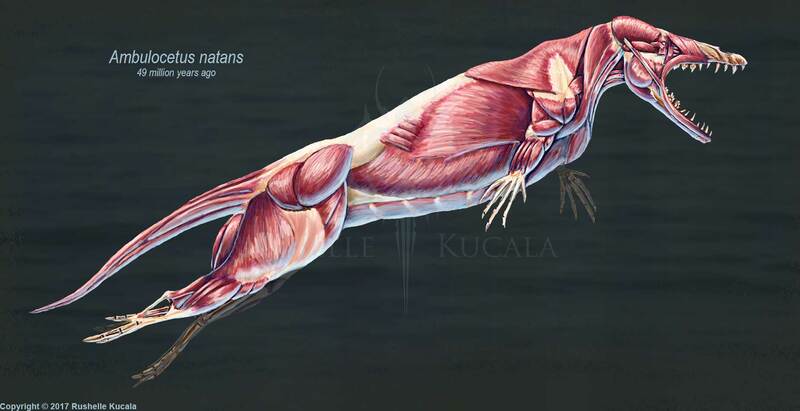 It's cool seeing how their muscles changed in order to adapt to a marine lifestyle. I will be posting closeups of each animal throughout this month. 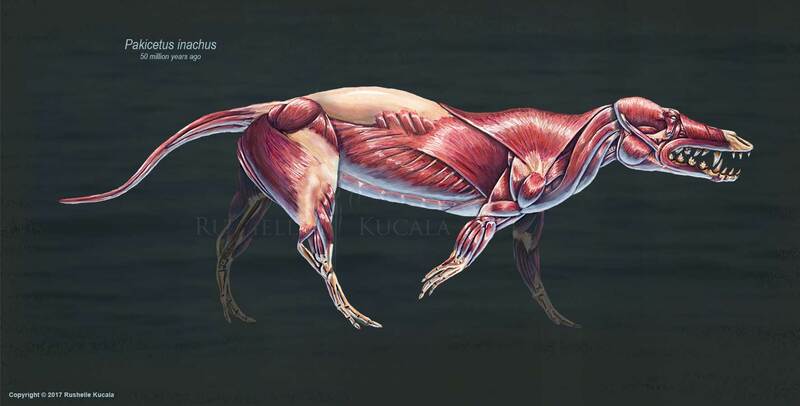 Check out my skeletal studies to learn more about these animals! Muscles done in marker, colored pencil, and white pen.